PROCESS	The process is promoted by micro-organisms: bacteria, actinomycetes and fungi. PRODUCT	Compost is material to be added on soil on site. 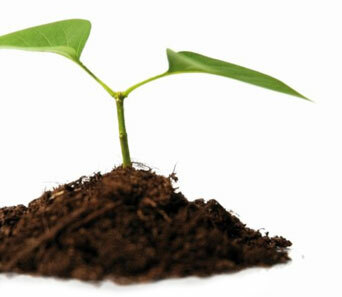 USE	Compost can be viably used as fertiliser and soil conditioner in many sectors. SALE	BIOFACTORY compost is sold by weight: Unpackaged, big bags or sacks. QUALITY	The quality mark is a Voluntary certification mark. it is one of the top leader composting plants in Italy, with an annual recovery of about 100,000 tons of waste through an aerobic bi-oxidative process. The quality mark is a voluntary certification mark issued by the Italian Consortium of Composters. Through a controlled transformation and stabilisation process of bio-waste, BIOFACTORY produces about 40,000 tons/year of quality “‘fertilising mixed compost” and “fertilising green compost” as defined by Legislative Decree 75/2010. Quality is guaranteed by a voluntary certification quality mark given to the associates of the Italian Consortium of Composters meeting specific requirements such as product traceability and preferred chemical-physical characteristics. Higher workability of soils characterised by strong cohesion and toughness. greater water retention in sand soils. Ability to face nutritional deficiencies. Repressive measure towards pathogenic micro flora. Activation of the degradation processes of agricultural residuals. Reduction in the competition between weeds and crops. IT CAN BE USED IN ORGANIC AGRICULTURE CFR. “REGULATION"